With this product, you earn 68 loyalty point(s). 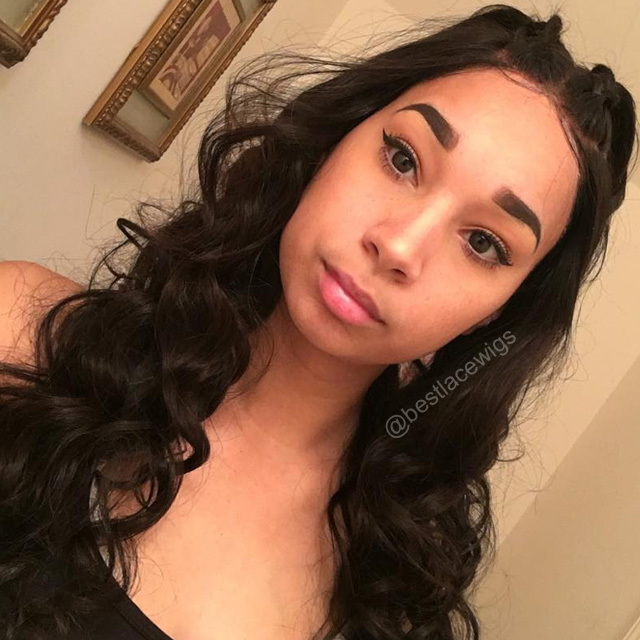 Glueless lace wig makes the process to install be easier. For full lace wigs, all the hairs are sewed by hand. So hairs look more natural and difficult shed, another guarantee of the quality is that best virgin human hairs give your nice hair looking. 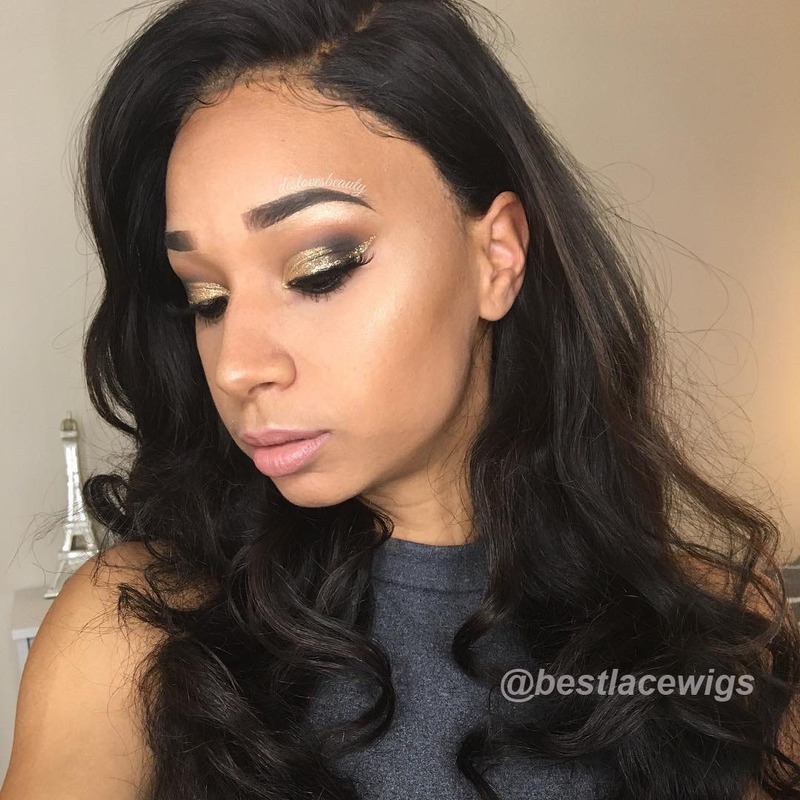 If you like straight hair, just come to bestlacewigs.com. No glue! Our chinese virgin human hair, full lace wigs and all of our glueless lace wigs are very easy to take on and off. They can help you save much time and energy, and at the same time, you can enjoy the happiness that they take to you. We provide other different virgin straight hair and glueless lace wigs to meet your requirements. If you want to change your hairstyle in a short time, our glueless lace wigs are good choices for you! Note: Colors may vary slightly on different monitor and resolution. Online color charts is a guide only. The hair quailty is very nice when i receive it ,beautiful and very soft. the hair took a little while to come but for the most part came in good condition. There had no smell no shedding. the hair had a few greys, but was true to length. my only problem was that the hair took about seven to eight days to get to me. but it was well worth the wait. I purchased gsw 118 in 2012 and it is still Beautiful. No tangling and no shedding. The wig has not lost it's movement and bounce. I love it! Love her a must buy!!!! I have purchased 3 of these wigs, all are still in very good condition, I have layered them and worn them in 4 month intervals because they are all layered to a different length, the hair is durable, I found it to be the most durable, tried the yaki hair but it does not stand up as well. This is a great wig. Ordered the natural color in 18 inches. The hair is still silky and soft. It does not shed at all and tangles like real hair would so just a bit. I have it since December and in march it still looks great. I dyed it twice since I have it and the hair color turned out great. The only thing about this wig that bothers me is that it has a lot of split hair everywhere which is hard to get rid of because they are at different lengths. Will buy again. I received this unit a day before it was expected. The outer packaging was a small cardboard box and the wig was in a plastic bag. It came with 2 free wig caps and a product booklet. Attached to the wig was a label with care for instructions. When I first took it out of the wrapping and put the unit on, the hair was parted down the middle I wet, and brushed it to train it to go to the side. There are a lot of fly-a-ways and the baby hairs are long. It buckles a little in the front so I had to tape it. 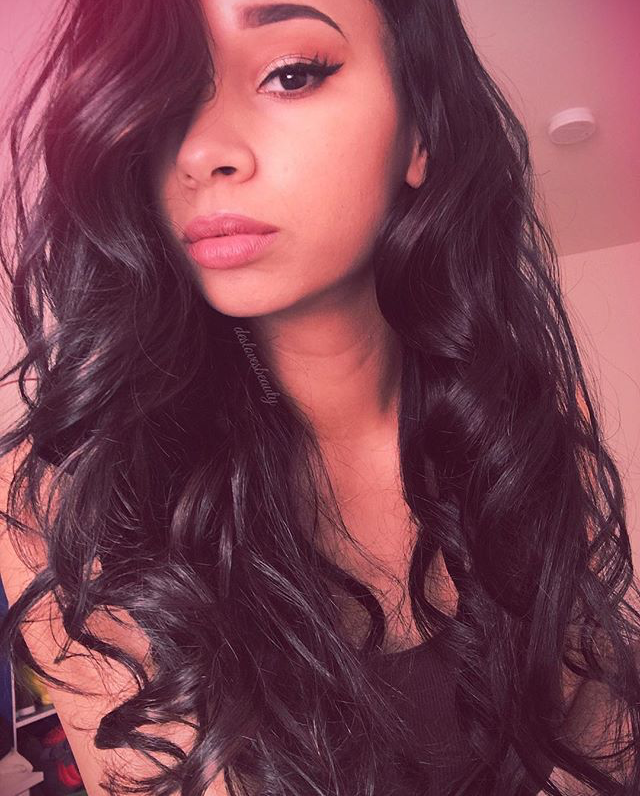 I've only had it for two days and I'm not a hair person so I am learning how to style this. 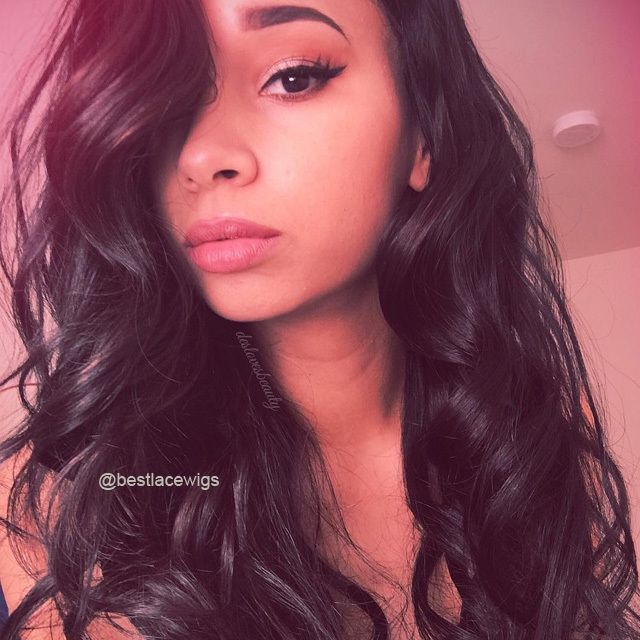 It is very silky and straight and it has a little shedding but not really any tangles. The parting doesn't really look realistic but I'm not going to tweeze it but I may try bleaching the knots. I am dark skinned but my scalp is fairly light and the lace is darker than my scalp. Overall I like this unit, and it probably will grow more on me but I probably will try a different one next time.